Click the button below to add the Scalp Anti-Bacterial Formula #Scalp Fungus Treatment - Men's Hair# to your wish list. Our Scalp Anti-Bacterial Formula is made with strong, antifungal ingredients that work fast to improve the condition of your scalp. Upon use, it will quickly absorb, taking its nutrients and beneficial properties to the source of irritation, instantly soothing it. This product for scalp fungus is made free of alcohol, artificial fragrance and any other chemicals that could disturb your skin's balance. It is perfect for a man's hair and scalp, leaving it feeling calm, soothed and naturally refreshed. Daily or leave-in overnight scalp serum refreshes and soothes scalp while you sleep. Made without silicones, dyes, parabens or artificial fragrances. Hazelnut Oil nourishes your hair to stimulate hair follicles and relieve dry scalp. Enriched with Vitamin E to restore, rebalance and deodorize scalps. 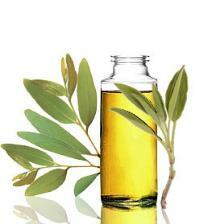 Andiroba Oil eliminates frizz and moisturizes both hair and scalp. 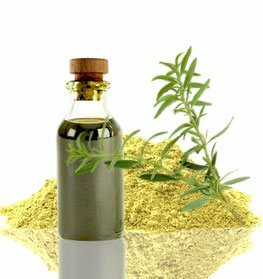 Neem Oil has been used as a medicinal herb for nearly 5,000 years. It contains azadirachtin, a compound which gives Neem its antibacterial, antifungal, and antiparasitic properties. Apply a single drop to affected areas up to three times a day for fast results. Or, apply a single drop to one fingertip and apply to the affected area. • Try clarifying your hair once a month. This will strip the hair of any buildup and debris. We suggest using our Shampoo to Remove Build-Up. • Spray this product directly into the scalp. Do not massage the product in. This actually works!!! I have suffered from a sore smelly scalp for the last 3 years. I have been to 4 dermatologists, tried a dozen over the counter and prescription itch shampoos, but nothing helped. I'm using your scalp fungus product and the vinegar rinse and have FINALLY found relief! Thank you, Thank you, Thank you for making a line that's not only clean and nutritive but that works without side effects. Forever Grateful! It works wonders! I knew nothing about fungus but after reading about it on your website I checked it out and sure enough fungus can cause scalp itching, odors, irritation and more. I had a terrible irritated scalp, but not anymore! This scalp fungus product is simple and excellent. No strange ingredients that do nothing for my scalp only nutritive ones. After two uses my itching is pretty much gone. This scalp fungus oil is amazing if you have itching or any scalp problems. After years of trying off-the-shelf and prescription products, many of which destroyed my hair texture and some hair fall, this scalp fungus product did the trick. I use it once a week and it keeps my scalp itch free, clean and fresh. I don't know what I'd do without it. Really. This is my botanical miracle scalp relief! I developed an irritated scalp problem and NOTHING, not even prescriptions helped. I bought this on a whim I thought it might be fungal or bacteria causing the itch and within a few uses I was totally fine. Now I just use it once a month for maintenance purposes. I love you guys, thanks so much to whoever created this product. This is a FANTASTIC nutritive product! Within days of using this scalp fungus product I had results, while the other products that I had been using after months did not stop my itch problems. This is the only product I have found to control my scalp itch. This product is amazing and it works just fine. I had a rough itchy scalp with white flakes on it. I had seen about five different dermatologists but all in vain. Once I started using this product, I got the answer to my drying scalp. seems to cut through oils in scalp. Scalp feels much cleaner now! I truly have had relief now, using the fungal treatment. I have endured the pain, severe itching and embarrassing flakes for so long, I truly had given up. I have been on prescriptions, steroids, tried EVERY product Over counters. One day I was determined to find a nutritive something to try and help. I do not try the fungal treatment at first, just the vinegar rinse, shampoo and itch spray. I have found my regimen the vinegar rinse, shampoo, conditioner and fungal oil as needed. I needed a lot at first ,less now, but I have no painful scalp now, and I am not awakened thru the night with severe itching, and my work days are focused on work now, not the pain. And itching of my head. I am fortunate have found your product and told many about it. I have used the scalp fungal treatment for the last 3 days since receiving it. It’s working! The spots on my scalp and in my ears are going away. I’ve had itchy scalp for the last 8 years. Have used many different treatments.. I wish I had discovered this sooner. It’s amazing!! This scalp fungus oil is amazing if you have itching or any scalp problems. After years of trying off-the-shelf and prescription products, many of which destroyed my hair texture and some hair loss, this scalp fungus product did the trick. I use it once a week and it keeps my scalp itch free, clean and fresh. I don't know what I'd do without it. Really.